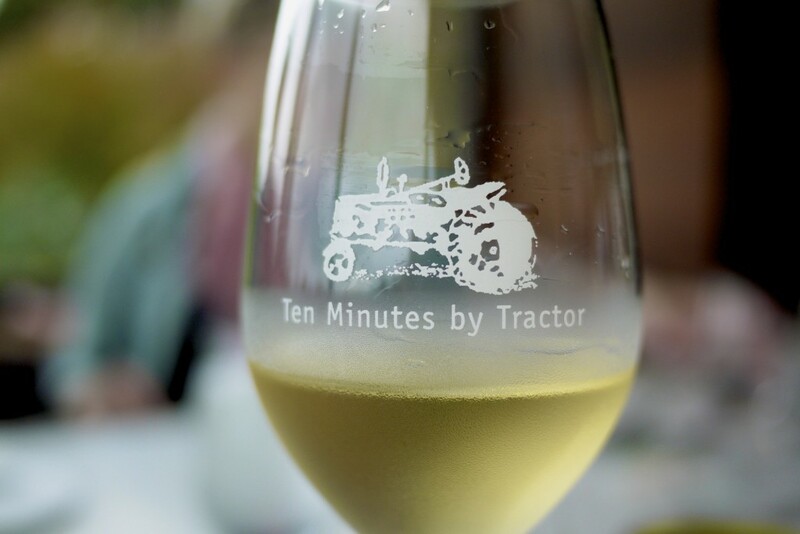 Whilst known for its wine, Ten Minutes by Tractor, in the Victorian region of the Mornington Peninsula, is perhaps better associated with its two hatted fine dining restaurant that has attracted many foodies over the years. My wife and I had previously made a few reservations but unfortunately had to cancel due to various reasons so we never thought we would ever make it here. But here we were, finally, and boy was it worth the agonisingly long wait. We also had a special reason to dine here that day as we were celebrating my wife’s recent success in defending her PhD. 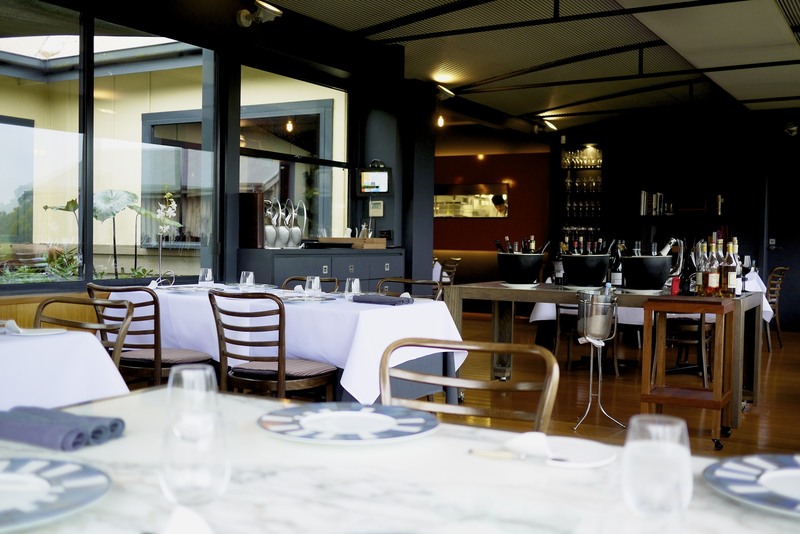 The dining room was adjacent to the cellar door, seating 30 – 40 people very comfortably with ample space. We were sat at the corner of the room with unobstructed views over the vineyard where we could see the resident sheep tucking into the grass around the vines; an absolute treat for our four year old niece. We occasionally could see Head chef Stuart Bell assessing the dishes as they came to the pass for service. The menu here consisted of an à la carte option of two or three courses, or a more elaborate tasting menu with a choice of five or eight courses. Many restaurants in Australia could learn a thing or two about high performing front of house service from manager Clayton Hiskins. Nothing was too much trouble for any of our friendly but extremely professional waiters who went as far as accommodating our niece with a specially house made apple juice, not normally available on the menu, as well as rectifying a misunderstanding of another beverage without making you feel apologetic or guilty. I felt like I was back in a Michelin starred establishment in Europe again. 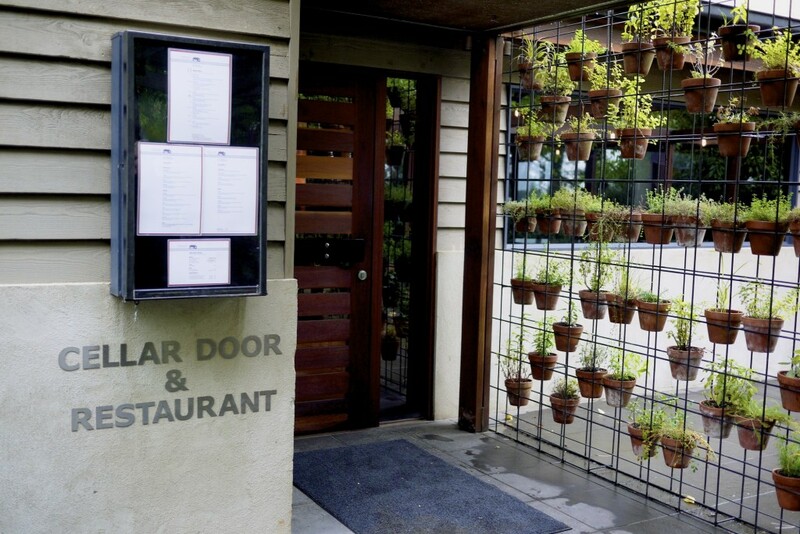 It was the perfect framework to an equally memorable meal. 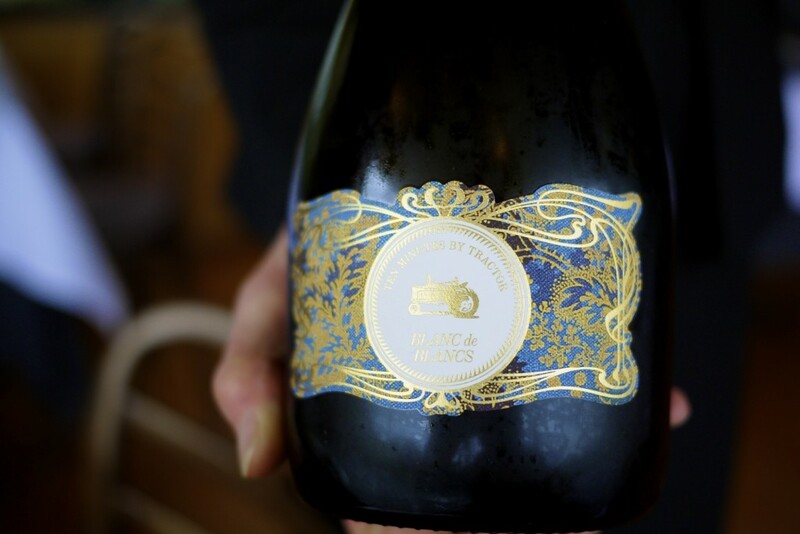 Being a sucker for sparkling wine, it didn’t take much for the sommelier to sell me a glass of the 2010 Blanc de Blancs, Ten Minutes by Tractor, Mornington Peninsula, Australia. This was their first ever sparkling wine and a bloody great one at that, and which their tasting note was spot on with a ‘a gentle effervescence in the mouth, acid that freshens without aggression and a gorgeous caress at the back of the mouth to bring you back for more.’ It was so good I decided to buy a few bottles after our meal as it was retailing at their cellar door for only $50 a bottle. Bargain! 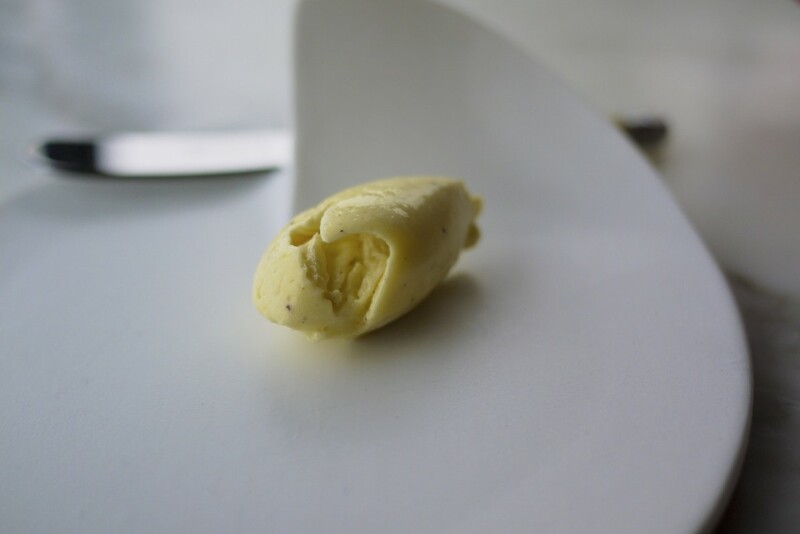 … the house made burnt butter that was more like cream than anything. Some olive oil and pink salt flakes were also provided on the side but we were completely distracted by the butter that we forgot about the olive oil. 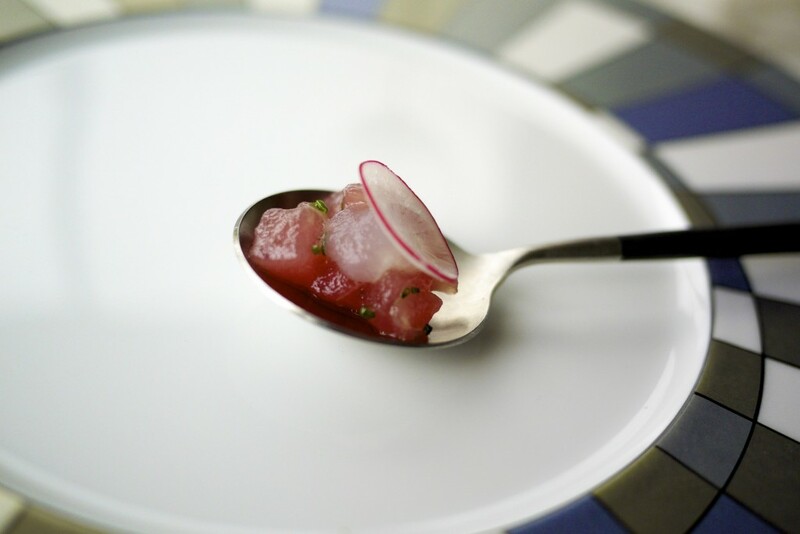 Our first amuse bouche of two was the Yellow fin tuna, tomato, lemon grass and radish, served on a beautiful thin spoon. It was a perfect introduction to Bell’s cooking, showcasing the fresh produce and ingredients that were abundant in all his dishes throughout the meal. 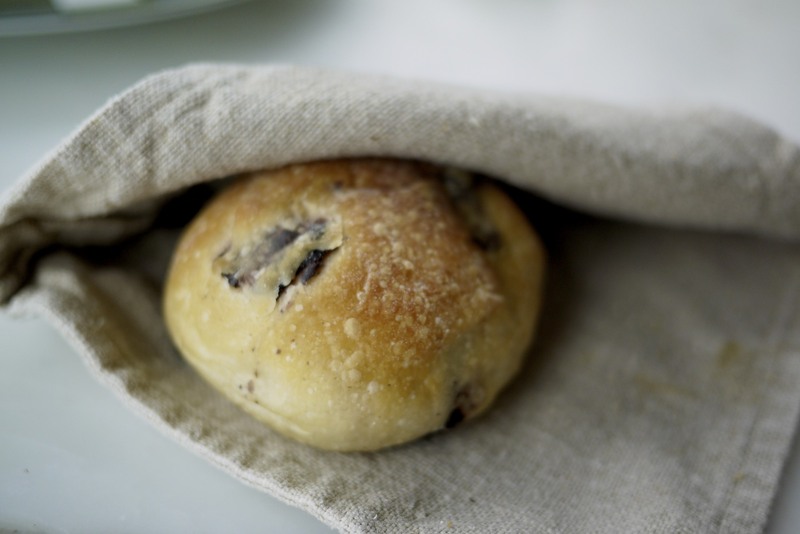 It was a simple but beautiful marriage of flavours that did exactly what an amuse bouche needed to do. Entertain my palate and whet my appetite. 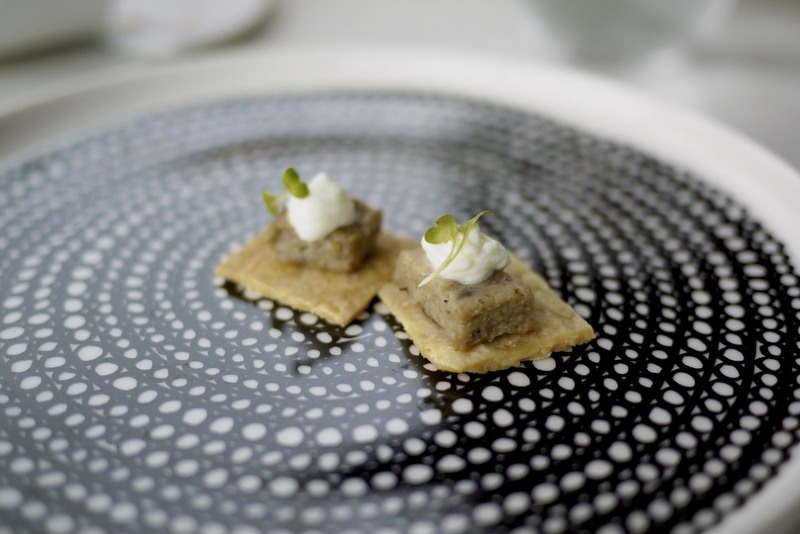 The subsequent Duck rillette with goats cheese on cracker was our least preferred of the two as I found the goats cheese competing against the mallard. My starter of the Venison Terrine and Carpaccio, pickled mushrooms, grapes and pistachio was exactly what I wanted; something delicious I could graze on but without it being fussy. The generous servings of the terrine had a surprisingly smooth texture, absent of gamey flavours. 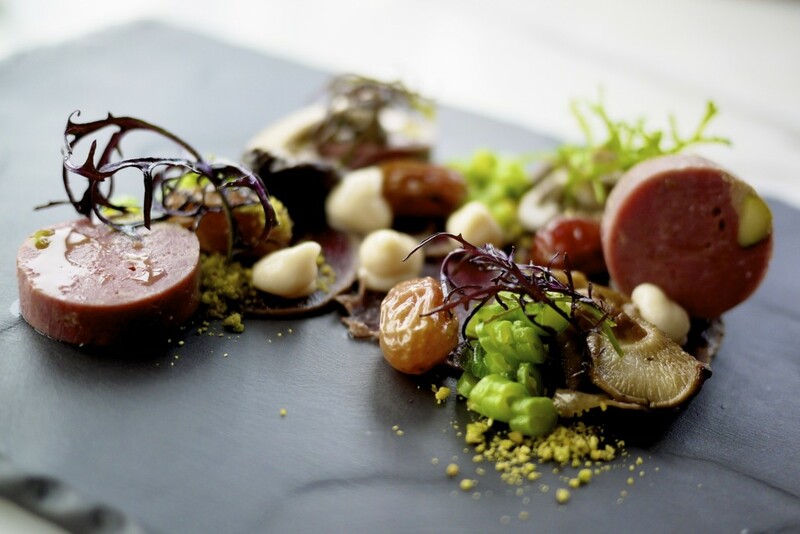 There were some clever use of textures including the succulent and juicy grapes, crunchy sliced green beans and moist pickled mushrooms over a bed of delicate venison carpaccio with crumbed pistachios and buttery emulsions. As the weather outside was miserable, my wife opted for a comforting wintery dish of the Gnocchi, textures of mushroom, cauliflower and kale for her starter. I had a mouthful of her dish and agreed that it was the best dish from our lunch. The mushroom purée in particular had an amazing concentration of flavours that was complemented by the other preparation of mushroom including the deep fried enoki and fried wild mushrooms. The gnocchi was sublime. 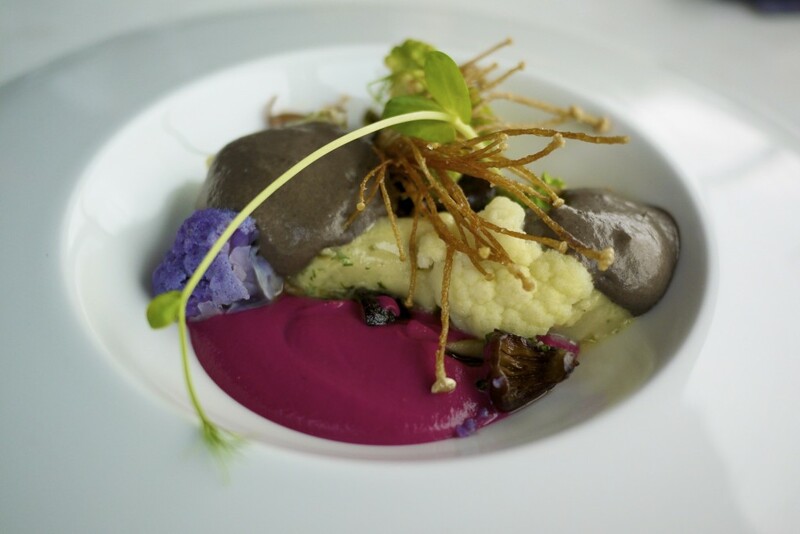 It was delicate, soft and silky with a perfect amount of give which was complemented perfectly by the crunch from the cauliflower. I had food envy. 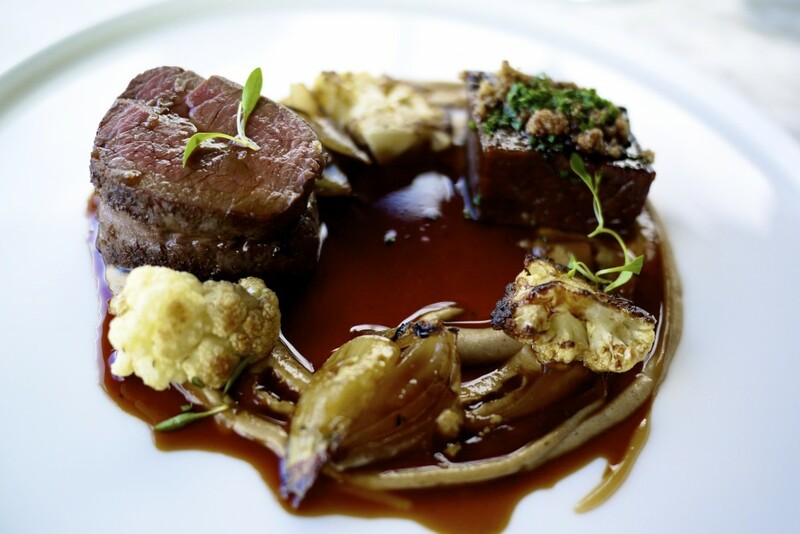 Our waiter was extremely confident in recommending the Cape Grim eye fillet, slow cooked rib, cauliflower, baby onions so I gave it a go despite being previously unimpressed with a preparation of the same cut of beef elsewhere. I was glad I took the advice for the flavours oozing out of this fillet was superb, working extremely well with the caramelised onion and purée. The slow cooked rib just fell apart effortlessly and provided another dimension of flavour to appreciate this breed. This certainly was a delicious cut. Stuart Bell is clearly a magician, or alternatively I blame the other chef for not doing it justice. 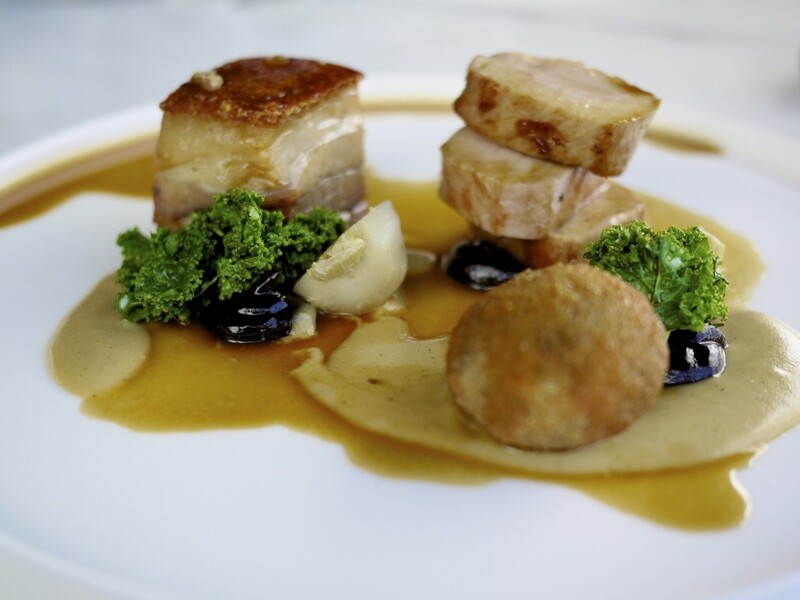 My wife’s main of the Pork confit belly & roasted loin, black pudding cromesque, prunes, macadamias was a close contender to the beef with it’s contrastingly moist pork belly and crunchy shard of crackling. The surprise element in the dish was the black pudding jus contained in the cromesque that was rich in spice, in particular cloves. Even my niece who normally avoided red meat was fishing for some of the pork and beef. My choice of dessert was the Michael Cluizel chocolate & hazelnut pavé, honey ice cream, poached pears. 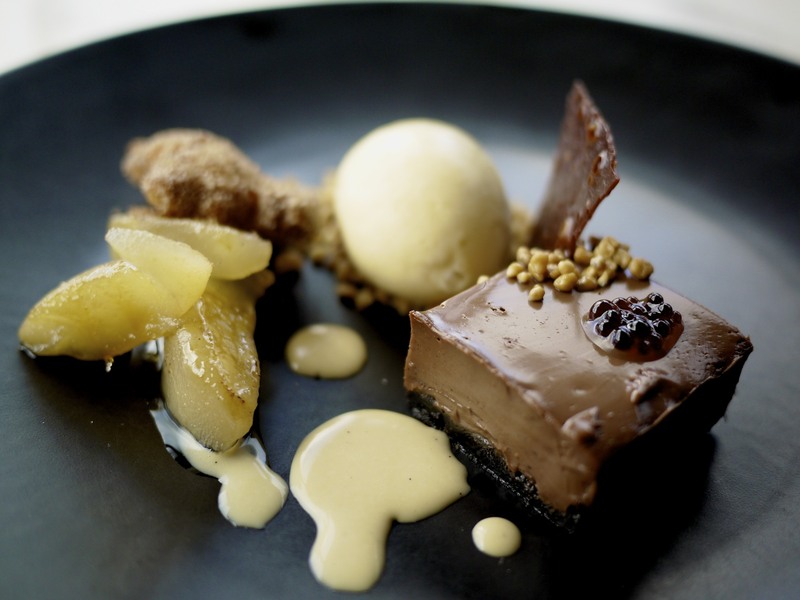 A very rich chocolate layer resting on a crunchy bed of crushed hazelnuts accompanied by a spiced doughnut, caramelised poached pears and a floral honey ice cream finished with a brittle chocolate tuile. I initially thought this was going to be way too sweet but the portion size was just right. The pear was remarkably juicy and retained its fruitiness despite it having a brittle caramelised coating. My wife opted for the Quince, yogurt cake, pecan crémeux, pepperberry ice cream. The yogurt cake had a sharpness which beautifully married with the silken sweetness of the quince. The pepperberry ice cream was an unusual flavour but blended well within the dish. 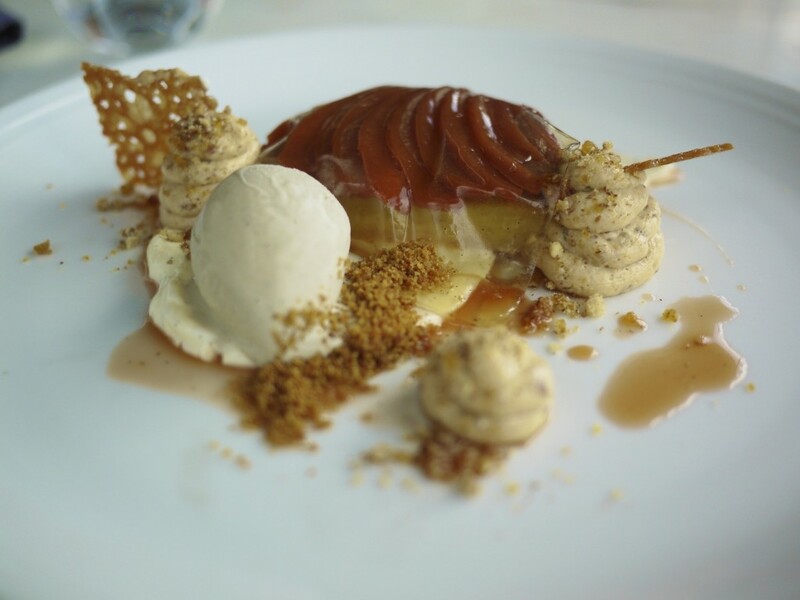 The pecan crémeux provided an elegant texture to complete the dish. Truly an old world flavour with a modern take. We were thoroughly impressed with everything and left with a genuinely big smile. I could have stayed here all afternoon. 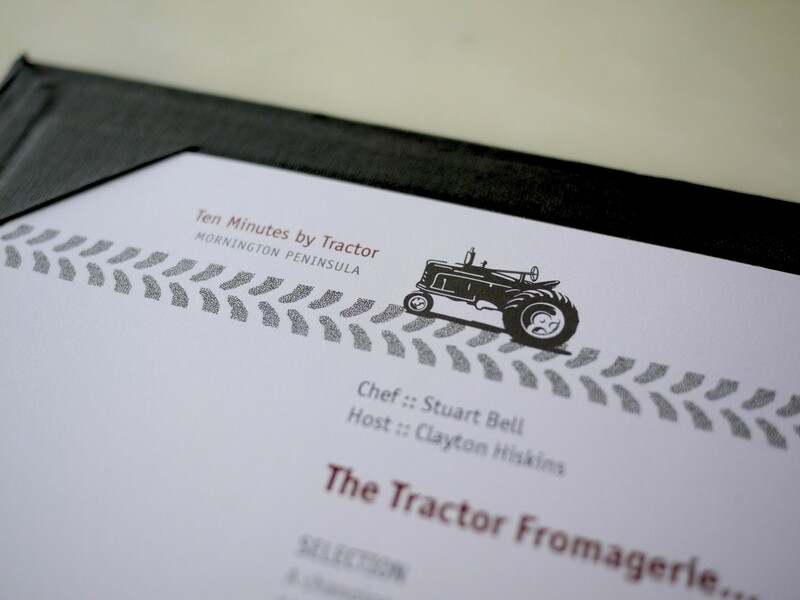 We arrived at Ten Minutes by Tractor not knowing what to expect and we were completely blown away by the trifecta of the beautiful location, faultless service and delicious food. Our experience here highlighted again the inconsistency in the hatted ratings, especially when you compared against weaker restaurants in the same category like Stefano’s. I wished that I had come here much sooner but I was glad we eventually made it. On this occasion we opted for the three course à la carte option but I’d definitely like to try Bell’s tasting menu on my return. Lucky for me it’s less than an hour away from where I live. This entry was posted in Australia and tagged Australia, Blanc de blancs, Clayton Hiskins, Mornington Peninsula, Ten Minutes by Tractor, Victoria on May 17, 2014 by admin.